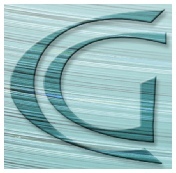 This legal statement contains the terms and conditions governing this Site, www.customglass.us , and all sites of the affiliates of Custom Glass Fabricators, Inc. (CGF) which are linked to this Site (collectively, the "Sites"). By using any of these Sites, you expressly accept and agree to abide by all the terms and conditions contained in this Legal Statement. Do not use any Sites if you do not accept and agree to these terms and conditions. Unless otherwise referenced herein, any reference to (CGF) shall include Custom Glass Fabricators, Inc. and all of its affiliates. The Sites are available only for your personal use, which shall be limited to viewing the Sites, providing information to the Sites and downloading product information for your personal review. CGF owns or has rights to all of the wallpaper, icons, characters, artwork, images, graphics, music, text, software and other content of the Sites (the "Content"), and all HTML, CGI and other code and scripts in any format used to implement the Sites (the "Code"). The Content and Code of the Sites are protected by copyright. Except as set forth above, you may not copy, modify, upload, download, transmit, re-publish, display for redistribution to third parties for commercial purposes, or otherwise distribute any Code or Content from the Sites without the prior written agreement from CGF. You may not use the Content or Code from the Sites for any purpose other than those set forth above. All names, logos and trademarks that appear on the Sites are the property of CGF or are used by CGF under license. You may not use any of the foregoing for any purpose without the prior express written permission of CGF. Your failure to comply with this Legal Statement will constitute breach of contract and will violate CGF's copyright, trademark and other proprietary and industrial property rights. Except as expressly provided above, nothing contained herein shall be construed as conferring by implication, estoppel or otherwise any license or right under any patent, trademark,copyright or other proprietary or industrial right of CGF, its affiliates or any third party. Note: This section does not apply to personal data supplied by you to any Site, such as your name, address, e-mail address, telephone number and the like. Please see our Privacy Rights Statement for information regarding our treatment of personal data. If you respond to CGF with any information, including but not limited to feedback, data, questions, comments, suggestions, or the like, such information shall not be deemed confidential. All such submissions shall be deemed the property of CGF.